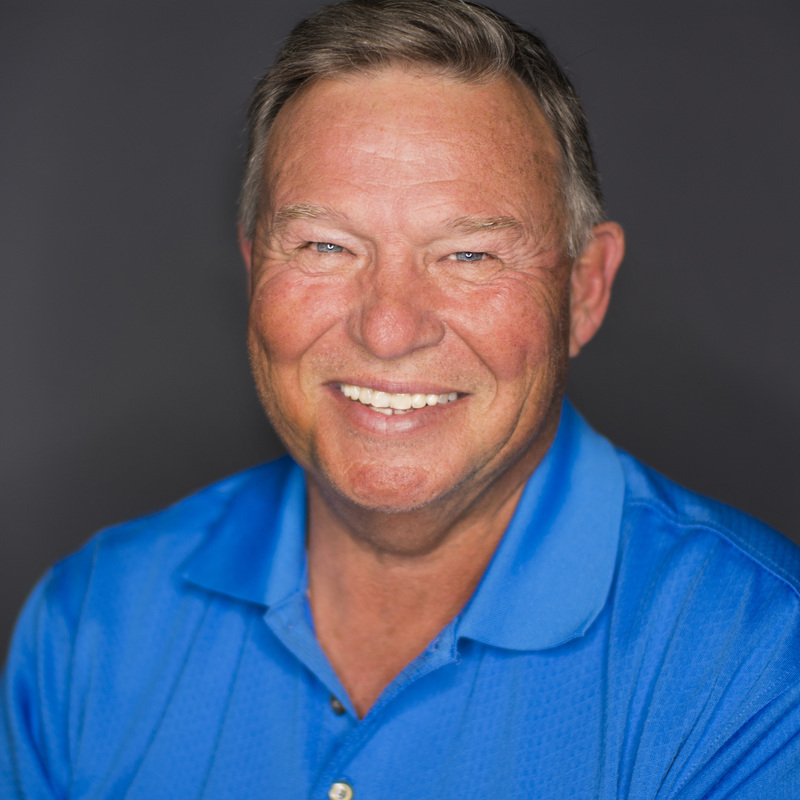 What would you like your guests to experience as they pull into your property? 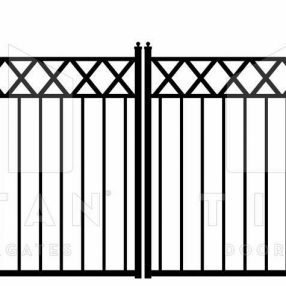 Make a stylish statement with an automatic driveway gate that accentuates your home’s elegant design aesthetic. 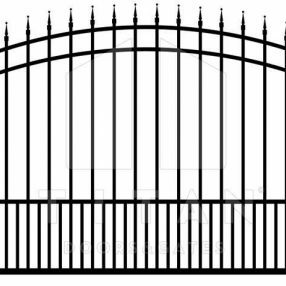 Whether it’s evenly matched to your wood fence, completely made of wrought iron, or a combination of the two, our fabrication team can help turn your dream into a reality. 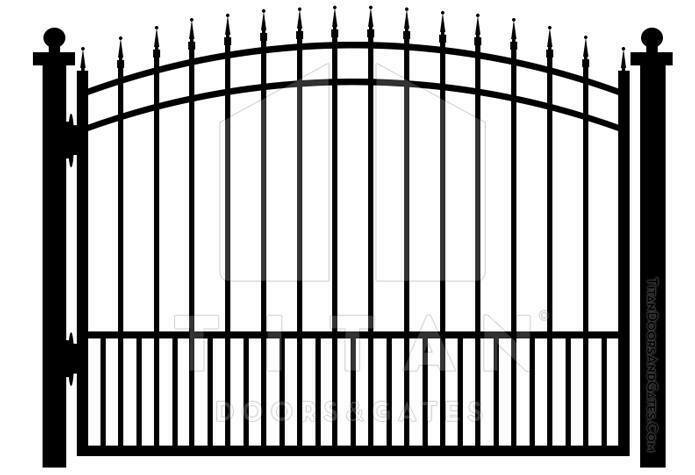 Take a look at this collection of iron gate designs, and let’s talk about which one represents the best starting point for your very own custom curb appeal. 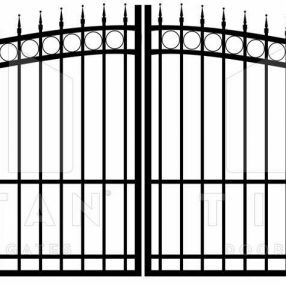 The possibilities are endless, and our goal is create a look that uniquely represents your personality and taste. 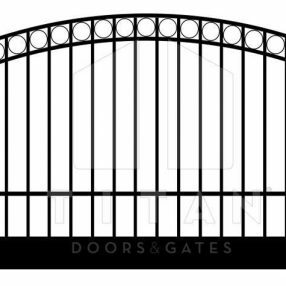 From family crests to business brands, let’s come up with something that makes your guests smile and welcomes you home! 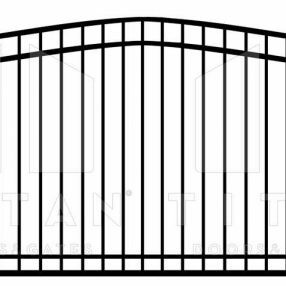 The Oceanus T101 is a curved top pet friendly wrought iron gate with simple pointed finials. 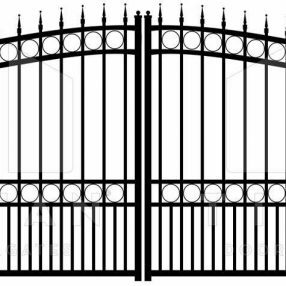 The Hyperion T102 is a single swing wrought iron gate with curved top. 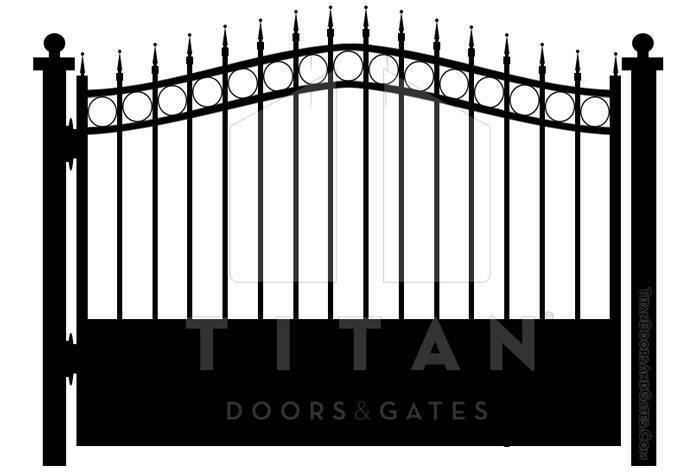 The Themis T103 iron gate is a wide single swing wrought iron drive gate by Titan Doors and Gates in Fort Worth TX. 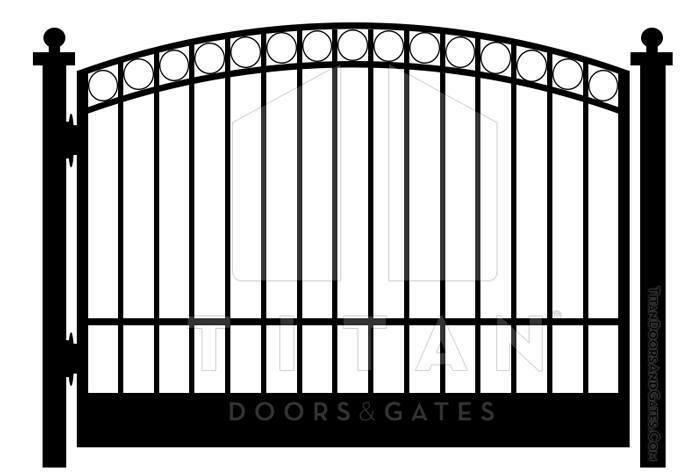 The Atlas T104 Iron Gate is a bell top gate design with ornamental finials and solid plate by Titan Doors and Gates in Fort Worth TX. 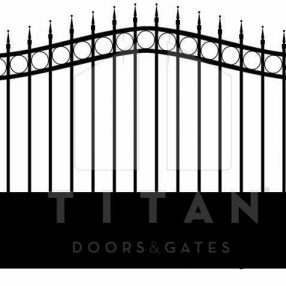 The Selene T105 Iron Gate is a single swing classic design with circle ornaments and pointed finials by Titan Doors and Gates in Fort Worth TX. 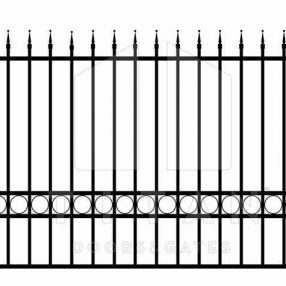 The Rhea T201 Iron Gate is a double swing pet friendly driveway gate with curved top by Titan Doors and Gates in Fort Worth TX. 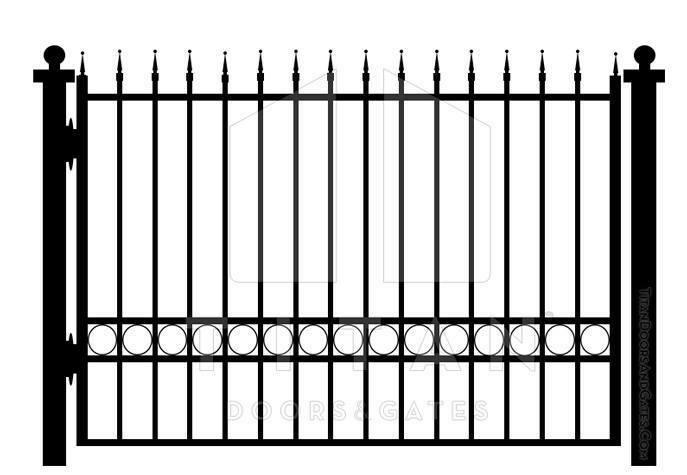 The Cronus T202 wrought iron gate is a double swing straight top by Titan Doors and Gates in Fort Worth TX. 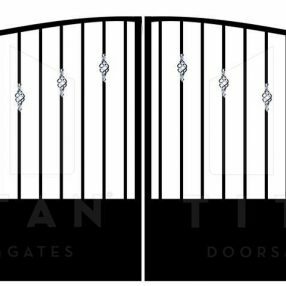 The Phoebe T203 Iron Gate is an elegant double swing design with spiral ornaments by Titan Doors and Gates in Fort Worth TX.